The Best Wedding Hair Tips On Wearing A Veil, Must Read! A funny little fact that you might not know about me is that I was a traveling wedding hair dresser for 12 years before I started this blog. I love wedding hair and it was my favorite to work on behind the chair. So today I’m sharing my professional hair tips with you on wearing and choosing the right veil for your wedding day hairstyle. I love talking wedding hair almost as much as I love crafting, so let me know if you have any wedding hair questions in the comments! All hair types and hair styles will look fabulous with the addition of a veil, however certain hair styles will lend better to wearing certain types of veils. 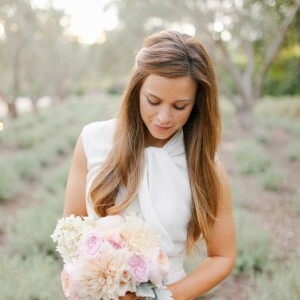 For example, updos or ponytails that are focused around the nape of the neck look amazing with birdcage veils. Juliet caps work best for brides without bangs that have foreheads a bit on the larger side. While your classically simple fingertip length style looks lovely worn on the crown, occipital ridge (back of the head) or nape of the neck – with the hair up or down. 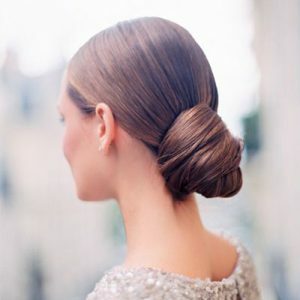 If you need help determining whats best, you can talk to both your hair stylist and your bridal stylist. Searching images of your specific veil or specific hair style will also help. The style of your hair and style of your veil is going to make a huge impact on your wedding day look. Most portraits are taken while wearing your veil but you’ll want to have a few snapped without it as well. When your stylist has secured the veil into your style, make sure that you’re 100% comfortable. If any part is uncomfortable it will only get worse as the day progresses. 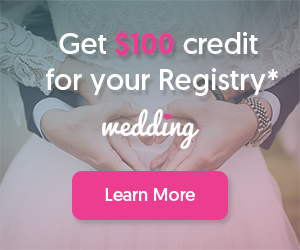 I thought about sharing all the different types of veils… but our great friends over at Southbound Bride did such and amazing job in this post – there was no need! 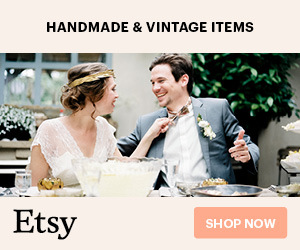 Take a moment to stop by their site to find your perfect match! In this scenario it isn’t what hair color looks best, it’s what type and color of veil will look best on your shade of hair color! Most veils fall within the white color family… but as I’m sure you know, there are many different shades of white. If you don’t end up purchasing your veil where you bought your dress, the big task will be making sure the colors of white match or at least compliment each other. Sometimes bridal salons will give you a scrap piece of your dress fabric for accessory shopping, which is ideal. On the other side, some can be colored (possibly pale pale pink, or I don’t know, turquoise!) or even have a pattern or texture like polka dots, rhinestones or lace. The heavier the fabric of certain designs the less you’ll see your hair style through the veil itself. The finer the weave of the material used to create your veil means less “frizzing” it will cause to your locks. For example: if you choose a birdcage veil they are usually made of a heavy tulle, the more you turn your head and have the tips of the birdcage touch your style, the more it can get disrupted. When you do choose to take your veil off, make sure to have a little hairspray and someone to carefully touch up your style where it was placed. If getting married outside where wind could be an issue, you must check out Save The Veil! Simply add a few of their pretty veil weights along the bottom edge of your veil and when the wind blows – your veil won’t! 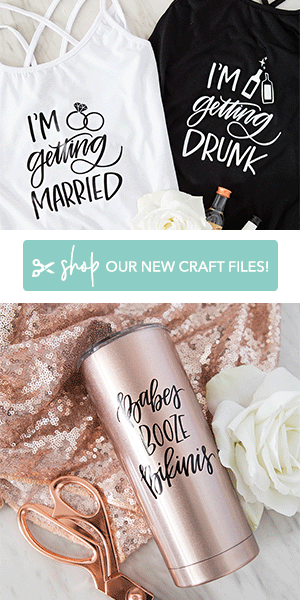 Totally wish I would have known about these when I was married as my veil definitely blew into my maid of honors face! During my wedding, the thing that surprised me the most was that hugging + long veils do not mix. Directly after our ceremony that was on the beach, we waited for our guests to walk to the reception which was just a block away and we started taking our portraits. I would say at least half of our guests lingered to watch us take portraits and congratulate us and so naturally lots of hugging ensued. My veil was fingertip length and every single time someone hugged me, it pulled on my veil, my hair and my neck. It drove me nuts and at that moment I was so happy and excited, hugging everyone and such that I just didn’t think and I ripped my veil right off. Which wasn’t a huge deal, but now I don’t have any special portraits of me wearing it which makes me really sad. Your event might not unfold that way, with your guests being able to talk to you right after the ceremony but I thought I’d mention it anyway. Try it on with your dress! Take it to your stylist for a trial! Tip #1: Try your veil on with your dress. Maybe even schedule a fitting right after your trial hair style so that you can really get a feel for everything. Make sure you’re happy with the overall look. By trying them on together you’ll avoid realizing that the colors are off, or the veil is covering too much of the back of your dress, or it’s not quite long enough… etc. Having a veil custom made for you is also always an option and/or having it tailored to fit your look can work too and many bridal salons do it in house. Tip #2: Bring your veil along with you to your wedding hair style trial. This will help not only you get a real sense of your wedding day look but it will help your hair dresser in creating your unique style. Who knows you might want to change your hair style or where you were planning to wear your veil after the experience, or you’ll be so happy and excited that you can cross that element off your to-do list. 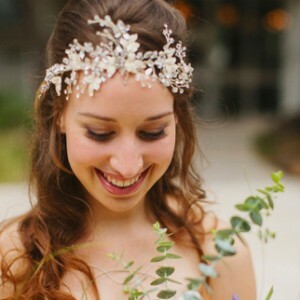 Fun Idea: After your ceremony, think about swapping your veil for a beautiful hair piece! Brides don’t normally wear their veils after the ceremony + portraits, so your overall look can feel a bit deflated. Plan to have your stylist there to do the change or lean on a bridesmaid that’s good with that kind of thing. Brides!! Make sure to get the “veil shot” you’ve been dreaming of! Find inspiring images like this one on your favorite wedding blogs or on Pinterest and share them with your photographer ahead of time. If you make time to capture these iconic “bridal” shots, you’ll forever be grateful that you made it a priority!